When buying children’s clothes, the first thing to remember is that they must be easy to put on, easily washable and above everything else, comfortable to wear. It is always advisable to buy trousers or skirts with elasticized waistbands and shoulder straps, for a baby. Prefer buying clothes that can be stretched and have a wide neck, because they are easier to wear as well as take off. Avoid buying clothes that are adorned by lace, as babies can get their fingers caught in the lace. 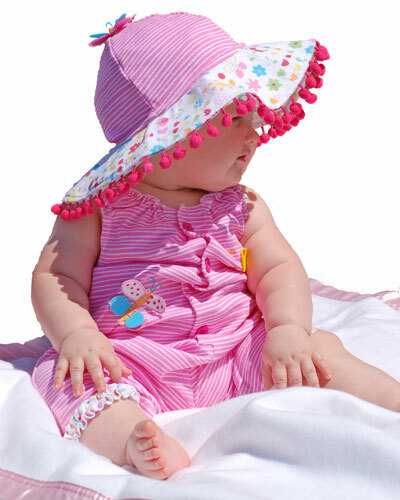 Always go for natural fibers as far as baby clothes are concerned, especially in summers. Clothes that open in the front and have poppers are easier to put on as well as take off the baby. Try to avoid buying clothes that have buttons, as buttons can get off and the baby might swallow them. Avoid clothes that have ties attached to them, as the ties can come off easily and you will have to sew them on again. Never ever opt for clothes that have rough stitching. They can be uncomfortable for the baby. Since babies tend to be picked up by so many people, so many times, it is best to go for clothes that do not need ironing.